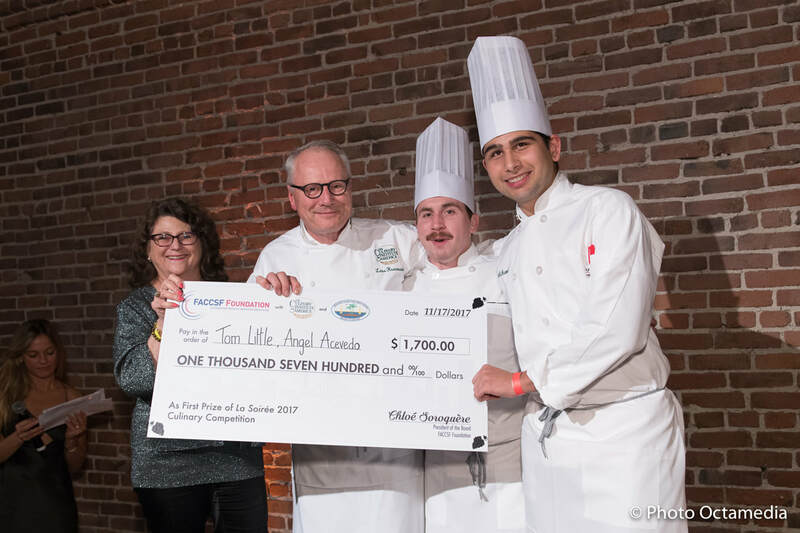 The French-American Chamber of Commerce San Francisco will provide a competition for culinary schools' students! - The first round will be conducted at students' respective schools, in October: Two or three teams of 2 competitors. Only the first winners (team of 2) participated to the final at La Soiree. - The Final round will be conducted on November 16th, during La Soiree at the SF Design Center Galeria. 7:00 pm: Beginning of LA SOIREE. Event Guests came at the booths and taste both appetizers of the teams. They will vote then for their preferred appetizer. 8.30 pm: End of the competition and counting of the votes. 9:00 pm: Announce of the winners at the VIP dinner area. Partners school to be announced soon: stay tuned!